A devious Dalek maze and programming the weather. The BBC Make It Digital summer tour. Don’t miss your final chance to get hands-on with coding as the BBC Make It Digital Tour makes its final stop in Birmingham this weekend. Since June the tour has been travelling around the UK giving opportunities to learn more about the digital world and coding - as well as showcasing local innovations and knowledge. 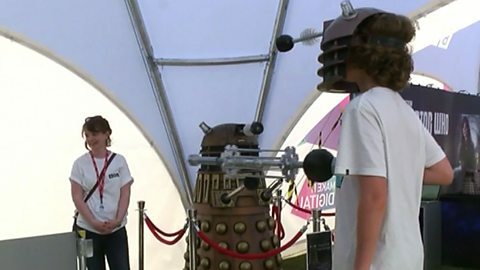 In the Doctor Who Zone - Robogals will be on hand to help you tackle the devious Dalek maze, you can get a #DalekSelfie or have a go at playing ‘The Doctor and the Dalek’ game. In the BBC Weather Zone - BBC Midlands Today weather presenter Rebecca Wood will be on-hand all weekend to give some of you presenting tips as you code and present your very own weather forecast. The Royal Meteorological Society will also be on-hand to demonstrate how you can become a weather watcher. In the Broadcasting Zone – you can find out how digital technology has changed the way that your local news is gathered and learn more about the BBC content that’s made in the city. In the Digital Discovery Zone - we’ll be giving you the chance to get hands-on with some of the latest work being done with robotics, virtual reality and augmented reality by the University of Birmingham. There will also be a range of fascinating talks about our digital world on our ‘Tech Talk’ stage which will be introduced by BBC Midlands Today’s David Gregory-Kumar. 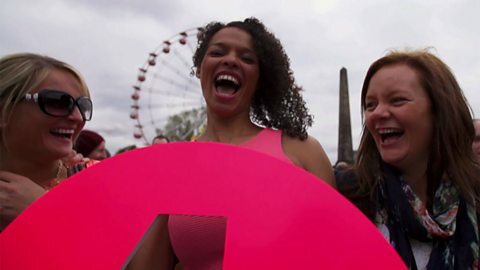 So don’t miss the BBC Make It Digital Tour when it visits Birmingham as part of the Birmingham Weekender on Saturday 26th (10:00-17:00) and Sunday 27th (11:00-17:00). You’ll find us at the back of the Mailbox beside the canal and inside at the home of BBC Birmingham. The BBC’s Make it Digital initiative is shining a light on the world of digital creativity. From coding and programming to building and making, there are hundreds of resources available to inspire anyone who’s interested to learn more. The BBC wants to help you discover tips and tricks, tutorials, materials and opportunities. Whether it’s from our own iWonder guides, Bitesize resources and Live Lessons or through the range of resources here on this page – you can explore how to build skills and tap into your own creativity and talent. Here is just a small sample of the fantastic breadth of support out there. All the companies we are spotlighting are working with us on Make it Digital in different ways. Today’s digital world is such a collaborative, expressive and social place. The possibilities are endless. The BBC is hoping that together with our partners, we can inspire a new generation to get creative with coding, programming and digital technology. We want to help people feel more confident, and maybe ignite a spark of curiosity in the digital pioneers of the future. Getting the nation excited about digital creativity.